Situated off the coast of Tanzania and washed by the warm, clear waters of the Indian Ocean, Zanzibar is a tropical archipelago comprised of many scattered islands - the two largest of which are Pemba and Unguja, or Zanzibar Island. Today, the name Zanzibar evokes images of white sand beaches, slender palms, and turquoise seas, all kissed by the spice-laden breath of the East African trade winds. In the past, association with the slave trade gave the archipelago a more sinister reputation. Trade of one kind or another is an intrinsic part of the island’s culture and has shaped its history for thousands of years. Zanzibar's identity as a trading hotspot was forged by its location on the trade route from Arabia to Africa; and by its abundance of valuable spices, including cloves, cinnamon, and nutmeg. In the past, control of Zanzibar meant access to unimaginable wealth, which is why the archipelago’s rich history is studded with conflict, coups, and conquerors. Stone tools excavated from Kuumbi Cave in 2005 suggest that Zanzibar’s human history stretches back to prehistoric times. It is thought that these early inhabitants were itinerant and that the first permanent residents of the archipelago were members of Bantu ethnic groups who made the crossing from the East African mainland in approximately 1000 AD. However, it is also thought that traders from Asia had visited Zanzibar for at least 900 years prior to these settlers’ arrival. In the 8th century, traders from Persia reached the East African coast. They built settlements on Zanzibar, which grew over the next four centuries into trading posts constructed out of stone - a building technique entirely new to this part of the world. Islam was introduced to the archipelago around this time, and in 1107 AD settlers from Yemen constructed the first mosque in the southern hemisphere at Kizimkazi on Unguja Island. Between the 12th and 15th centuries, trade between Arabia, Persia, and Zanzibar blossomed. As gold, ivory, slaves, and spices exchanged hands, the archipelago grew in both wealth and power. Towards the end of the 15th Century, Portuguese explorer Vaso da Gama visited Zanzibar, and stories of the archipelago’s value as a strategic point from which to conduct trade with the Swahili mainland quickly reached Europe. Zanzibar was conquered by the Portuguese a few years later and became part of its empire. The archipelago remained under Portuguese rule for almost 200 years, during which time a fort was constructed on Pemba as defence against the Arabs. The Portuguese also began construction on a stone fort on Unguja, which would later become part of Zanzibar City’s famous historic quarter, Stone Town. In 1698, the Portuguese were expelled by the Omanis, and Zanzibar became part of the Sultanate of Oman. Trade flourished once more with a focus on slaves, ivory, and cloves; the latter of which began to be produced on a large scale at dedicated plantations. The Omanis used the wealth generated by these industries to continue the construction of palaces and forts in Stone Town, which became one of the richest cities in the region. The island’s indigenous African population were enslaved and used to provide free labor on the plantations. Garrisons were built throughout the islands for defense, and in 1840, Sultan Seyyid Said made Stone Town the capital of Oman. After his death, Oman and Zanzibar became two separate principalities, each one ruled by one of the Sultan’s sons. The period of Omani rule in Zanzibar was defined by the brutality and misery of the slave trade as much as by the wealth it generated, with over 50,000 slaves passing through the archipelago’s markets each year. From 1822 onwards, Britain took an increased interest in Zanzibar centered largely around the desire to end the global slave trade. After the signing of several treaties with Sultan Seyyid Said and his descendants, the Zanzibar slave trade was eventually abolished in 1876. British influence in Zanzibar became more and more pronounced until the Heligoland-Zanzibar Treaty formalized the archipelago as a British Protectorate in 1890. On December 10th 1963, Zanzibar was granted independence as a constitutional monarchy; until a few months later, when the successful Zanzibar Revolution established the archipelago as an independent republic. During the revolution, as many as 12,000 Arabic and Indian citizens were murdered in retribution for decades of slavery by left-wing rebels led by Ugandan John Okello. In April 1964, the new president declared unity with mainland Tanzania (then known as Tanganyika). Although the archipelago has had its fair share of political and religious instability since then, Zanzibar remains a semi-autonomous part of Tanzania today. 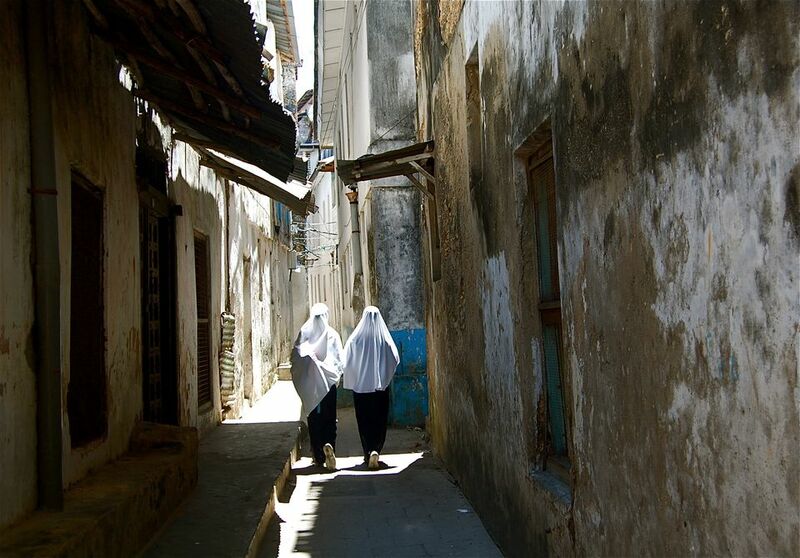 Modern visitors to Zanzibar will find ample evidence of the islands’ rich history. Unarguably, the best place to start is in Stone Town, now designated as a UNESCO World Heritage Site for the splendor of its multi-heritage architecture. Guided tours offer a thrilling insight into the town’s Asian, Arab, African and European influences, which manifest themselves in a maze-like collection of forts, mosques, and markets. Some tours also visit Unguja’s famous spice plantations. If you plan on exploring Stone Town by yourself, make sure to visit the House of Wonders, a palace built in 1883 for the second Sultan of Zanzibar; and the Old Fort, started by the Portuguese in 1698. Elsewhere, the 13th-century ruins of a fortified town built before the arrival of the Portuguese can be found at Pujini on Pemba Island. Nearby, the Ras Mkumbuu ruins date back to the 14th century and include the remains of a large mosque.